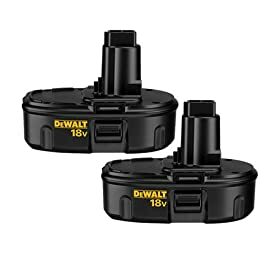 These DeWALT DC9099 batteries are the new "Low Profile" battery from DeWALT. They are .5 lbs lighter than the DW9099 batteries and 3/8 inch thinner. This is a new DeWALT item and comes with a full DeWALT warranty. I bought these batteries to replace the regular size ones that came with my tools and are now junk. I liked the idea of a lighter battery with the same amount of power, and these do exactly that. They also cost less! I've been using these with my circular saw. Light duty stuff. They work alright, but they last about one-third to one-half as long as the regular ones.